Home » » Nigerian Female Serial Fraudster Arrested In Ghana After 9 Months On The Run. Nigerian Female Serial Fraudster Arrested In Ghana After 9 Months On The Run. 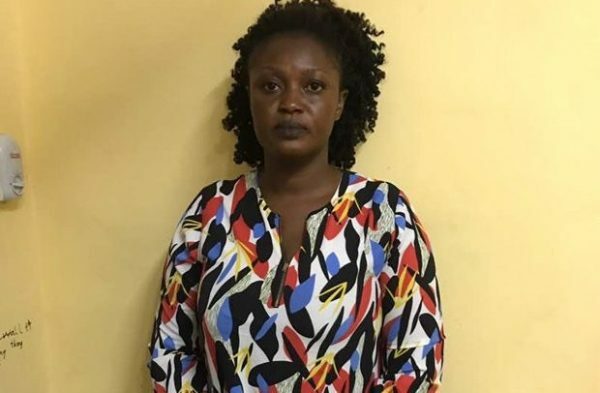 The Criminal Investigation Department (CID) of the Ghana Police Service has arrested one Bridget Enchill Obeng, an notorious Nigerian car fraudster, after she allegedly defrauded over 10 victims under the pretext of selling vehicles to them. Obeng was busted at Baah Yard, Awoshie, Accra, after reportedly playing hide-and-seek with the police for nine months. According to the police, the Tesano, Adabraka, Teshie and Airport police are also investigating her for fraud. The Director in-Charge of Operations at the CID headquarters in Accra, ACP Peter Gyimah, revealed that Obeng, who operated with the name Naana, displays various vehicles for sale with her contact numbers on them. When interested persons contact her, she then arranges to either meet them or asks her accomplices to do so and in the process, takes from prospective buyers monies ranging from GH¢9,000 to GH¢50,000 and absconds. The suspect normally takes the buyers to other persons she claims are the real owners of the vehicles. After the money has been paid, Enchill and her cohorts then present the victims with fake car keys and documents and asks them to go for the vehicles. Police investigations have revealed that the suspect and her accomplices often use apartments with owners outside the country or hospitals for their nefarious activities.